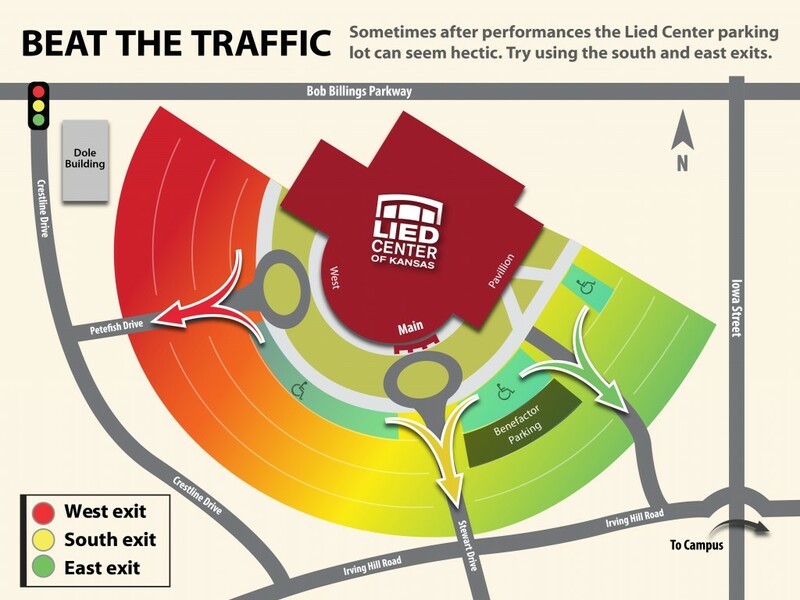 Directions to the Lied Center can be accessed through Google maps or via a PDF of driving directions. Links to both are located below. The Lied Center Pavilion is located on the east side of the Lied Center and can be accessed via the external doors on the east side of the building or through the main entrance. Parking for symposium attendees will be available, free of charge, in Lots B, C, & D of the Lied Center Parking lot. Please see the photo below for the locations of Lots B, C, & D. In the event that symposium attendees do receive a parking ticket during the event, please contact JBB Leadership. Additional questions regarding directions or parking can be directed to jbb@ku.edu.